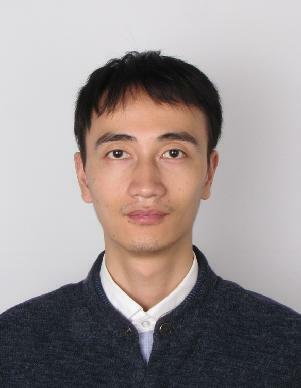 Currently I am a post doctor of School of Computer Science and Technology in Zhejiang and a member of VIPA Group, led by professor Mingli Song. In June 2011, I received my Sc.B. degree in School of Computer Science and Technology from Huazhong University of Science and Technology. In September 2011, I was admitted to study for a Ph.D. degree in Zhejiang University without entrance examination. I received my Ph.D. degree in School of Computer Science and Technology in June 2016 from Zhejiang University. Currently my research interests include: computational photography, texture modelling, vision algorithms in an adversarial environment. L. Sun, M. Song, Z. Liu, M.-T. Sun, Real time gaze estimation with a consumer depth camera, Information Sciences (INS), 2015. L. Zhang, M. Song, X. Liu, L. Sun, C. Chen, J. Bu, Recognizing architecture styles by hierarchical sparse coding of blocklets, Information Sciences (INS), vol. 254, 2014. L. Sun, M. Song, Z. Liu, M. Sun, Realtime Gaze Estimation with Online Calibration, ICME 2014, (Oral). L. Sun, M. Song, C. Chen, D. Tao, J. Bu, C. Chen, Motionlet LLC Coding for Discriminative Human Pose Estimation, Multimedia Tools and Applications, 2013. L. Zhang, M. Song, L. Sun, X. Liu, Y. Wang, D. Tao, J. Bu, C. Chen, Spatial Graphlet Matching Kernel for Recognizing Aerial Image Categories, ICPR2012, 2012. L. Sun, M. Song, J. Bu, C. Chen, Pose Estimation with Motionlet LLC Coding, PCM2012, 2012.